All managers who are expected to carry out performance appraisals should have some training. Ideally this should not just be on the skills of performance appraisal (how to do it) but also on the reasons for performance appraisal (why we do it). Managers should understand how it fits into the wider strategic process of performance management and how the information and data generated contributes to a greater understanding of the capacity of the human capital of the organisation to contribution to business strategy and value. 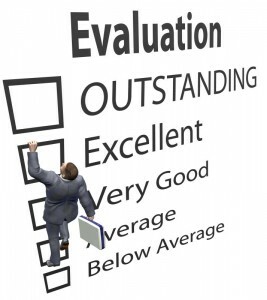 A basic requirement is that appraisers have the skills to carry out an effective appraisal as described above. This means they ask the right questions, listen actively and provide feedback. Concentrate on the speakers and are aware of behaviour, body language and nuances that supplement what is being said. Respond quickly when necessary but don’t interrupt. Ask relevant questions to clarify meaning. Comment on points to demonstrate understanding but keep short and do not inhibit the flow of the speaker. Feedback should be used on facts, not subjective opinion, and should always be backed up with evidence and examples. The aim of feedback should be to promote the understanding of the individual so that they are aware of the impact of their actions and behaviours. Corrective action may be required where the feedback indicates that something has gone wrong. However, wherever possible feedback should be used positively to reinforce the good and identify opportunities for further positive action. Giving feedback is a skill and those with no training should be discouraged from giving feedback. Feedback is built in with individuals being given access to readily available information on their performance and progress. Feedback is related to actual events, observed behaviours or actions. Feedback describes events without judging them. Feedback is accompanied by questions that ask for the individual’s opinion why certain things happened. People are encouraged to come to their own conclusions about what happened and why. There is understanding about what things went wrong and an emphasis on putting them right rather than censuring past behaviour. What is a performance appraisal? Continue..